The VRM (Voltage Regulation Module) – is designed to control the power level of your Cathode Biased amp while retaining the tone. The 1″ sq. board should fit anywhere in your Trinity Amp with three simple connections. 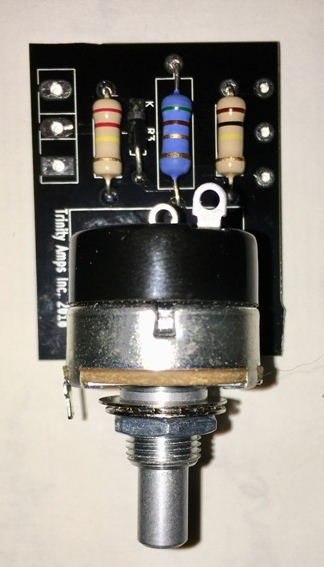 Replace the power switch in your amp using the “switched” control pot. Kit includes all parts, PCB, hardware, switched control pot and 2 DC blocking caps.